In 2018, the North Carolina 4-H Program began utilizing a new online enrollment system for all new and existing 4-H members and volunteers. The online enrollment system is called 4HOnline. If you created a new family profile in the 4HOnline system during the 2018 program year – it is now time to update that record for the new 2019-2020 programmatic year. If you did not create a new family profile in the 4HOnline system during 2018 – we ask that you take a few minutes and create your account. This letter provides guidance on the 4HOnline enrollment/re-enrollment process. Please note that effective January 1, 2019, only youth members and 4-H volunteers who are enrolled in 4HOnline will be considered active members and/or active 4-H volunteers. Login to your family profile, review and update youth member/volunteer information as needed. The system will walk you through each of the required sections. Note: Some sections of the application must be completed annually while others just ask that you review areas for any needed changes. When you have updated all of the information click “Enroll for 2019-2020.” Your membership status will be updated and sent to your local 4-H office for approval. The renewal process should only take a few minutes. Here’s the link to the 4HOnline system and a link to a “tip sheet” for the re-enrollment process. Please take a few minutes to create a family profile in the 4HOnline system. Once the family profile is set up you will then add individual youth and volunteer members to your family account. Here’s the link to the 4HOnline system and an easy to use “tip sheet” entitled – “Setting Up A NEW Family Profile in 4HOnline” which will walk you through the initial sets of setting up an account. All member and volunteer information must be entered into the 4HOnline system for ACTIVE status to be granted. Families who do not have access to the internet and/or access to an email account (Gmail, Yahoo, etc.) may use the paper enrollment forms. Please Note: The local 4-H program will manually add these paper enrollment forms directly into the 4HOnline system (e.g., University Protocol and Guidelines). Any paper enrollment forms will not be official until entered into 4HOnline and given ACTIVE status. You should only create one (1) family profile per household. Be sure to write down the email address and password and keep in a secure place. If you have a youth member who participates in more than one county 4-H program (for example – a youth may participate their local 4-H program and a neighboring county specialized program like livestock, etc.) please register your family profile in the county you deem primary. Your 4-H agent will be able to add a 2nd county to your profile. PLEASE – DO NOT SET UP MORE THAN 1 FAMILY PROFILE. If you need support with this process please don’t hesitate to contact your local 4-H office. 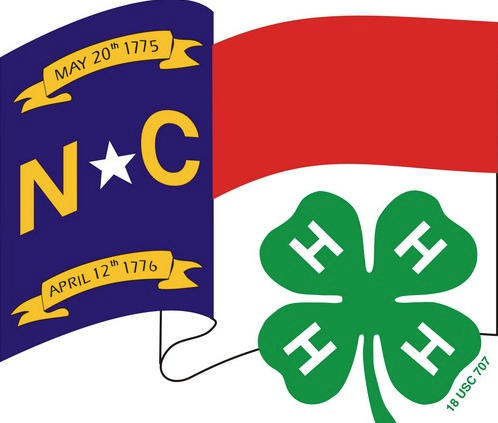 North Carolina Cooperative Extension’s 4-H Youth Development program and 4HOnline work closely to monitor and ensure the highest level of protection for information stored on the system. The 4HOnline system was vetted by the university and meets all Information Safety policy requirements.